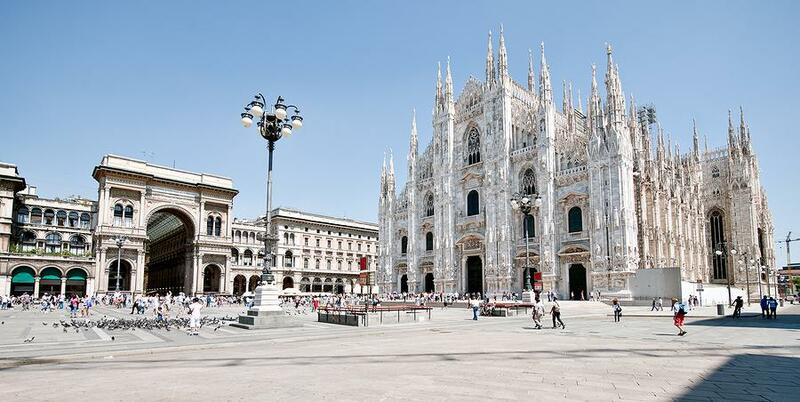 The Piazza del Duomo is your starting point in exploring Milan. The Duomo is the world's largest Gothic cathedral and its construction began in 1386 to be completed almost 5 centuries later. Its decoration is a strange mixture of Baroque and Gothic designs but its size is what impresses. Inside the Duomo you will see marble columns and stained-glass windows and it is important to visit the Battistero Paleocristiano to the left of the entrance, the Scurolo di San Carlo an octagonal crypt with the remains of cardinal St. Charles Borromeo and the Treasury which features Byzantine ivory work and extravagant evangelical covers. South of the Piazza del Duomo discover the charming church of San Satiro and the Pinacoteca Ambrosiana with collections of ancient manuscripts making one of the largest libraries in Europe. 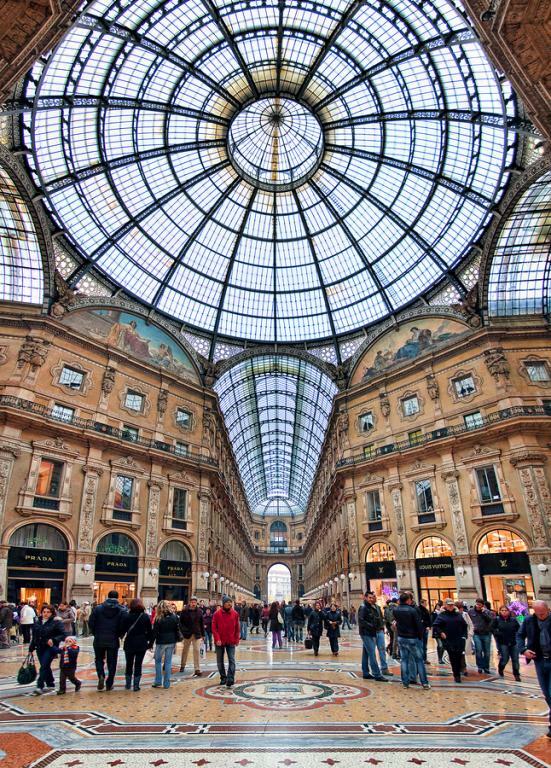 North of the piazza stroll through Galleria Vittorio Emanuele II, a glass domed gallery designed in 1865 full of upmarket cafes and shops. If you walk down the main branch of the galleria you will come to world-famous La Scala which was opened in 1778 and was designed by Piermarini. Here if you book well in advance you can enjoy operas from December to July and classical concerts or ballet from September to November each year. 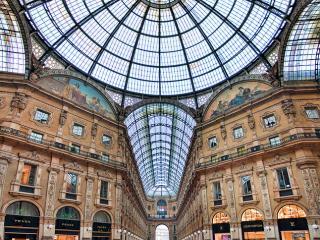 One of the main reasons for visiting Milan is shopping. The city became a fashion icon during the 80's when famous designers such as Armani, Gucci, Prada, Versace and Dolce & Gabbana gained international reputation. Most designer stores will be found at the Quadrilatero d'Oro, Via Monte Napoleone, Via della Spiga and Corso di Porta Ticinese. 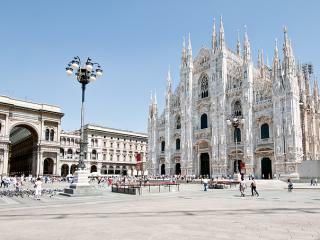 Generally speaking eating and shopping in Milan can be an expensive exercise.